With an aniversary coming up you could buy a special cupcake for the special couple as a little gift or you could provide a whole party with a aniversary cupcake tier. If you are organising a party for the day we could supply you the perfect anniversary cupcakes for all of your guests. We will be happy to personalise each cupcake to the perfect couple who will be celebrating their anniversary or we could tailor them to the tradition that the year of the anniversary holds. 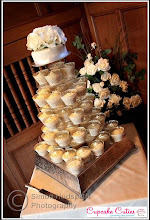 The cupcakes in the photograph above are perfect for a diamond wedding aniversary with the edible diamonds. We can tailor to any Special Anniversaries. 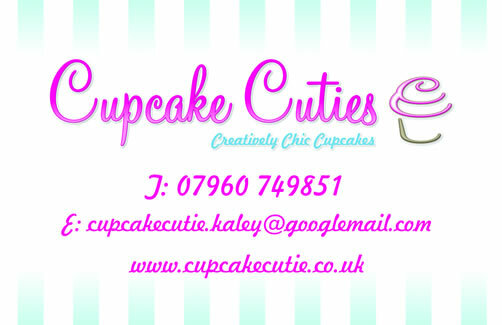 Please contact Cupcake Cutie to discuss your perfect package. Cupcake Wrappers are the very latest cupcake accessory. We offer an array of cupcake wrappers in order to customise your cupcakes to suit your theme. Please view a few that we have used previously. If these do not match your theme please contact us with your plans and we will find you a perfect cupcake wrapper to suit. With a Wonderland of choice, how could you choose which cupcake would be most perfect for you. This is why we at cupcake cutie offer an array of assorted decorative trets within our range of selections. Here we will provide a group package to your desired quantity. With your choice of toppings. Please view our selection packages, if you have any request not shown here please contact us and we will be happy to create your desired cupcake selection.